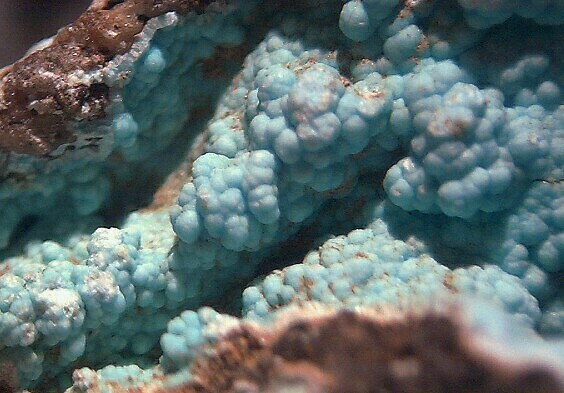 Glaucocerinite: Mineral information, data and localities. From the Greek γλαυκός for "sky-blue" and κήρινος for "wax-like," in allusion to its colour and appearance. Compare also Woodwardite Group. Compare 'UM1985-07-OH:AlCuSZn' - corresponding to the alleged cotype specimen of glaucocerinite. Tints due to incuded impurities. Occurs as veruginous masses with a radial-fibrous structure and concentric colour banding. 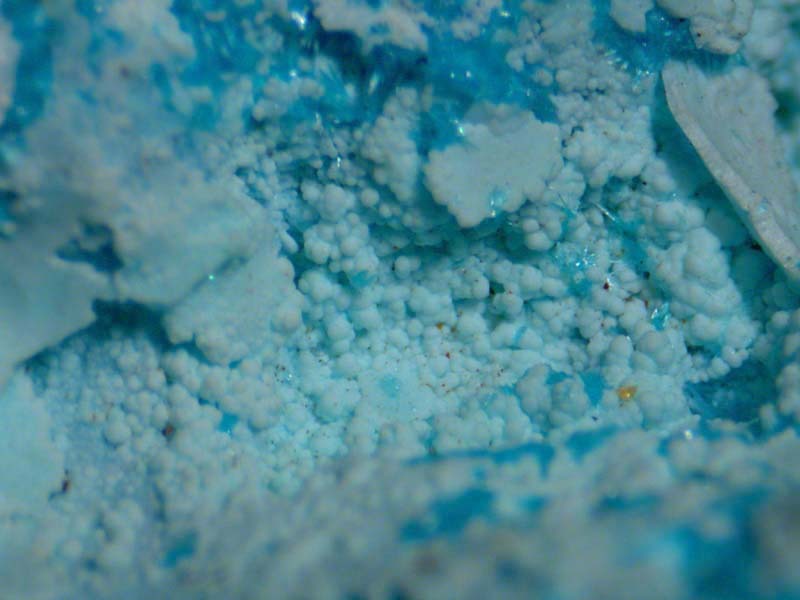 Mountkeithite [(Mg1-xFe3+x)(OH)2][SO4]x/2 · nH2O Hex. Serpierite 3 photos of Glaucocerinite associated with Serpierite on mindat.org. Aragonite 2 photos of Glaucocerinite associated with Aragonite on mindat.org. Galena 1 photo of Glaucocerinite associated with Galena on mindat.org. Dittler and Koechlin (1932) Centralblatt für Mineralogie, Geologie und Paleontologie, Stuttgart: 13. American Mineralogist (1932): 17: 495. American Mineralogist (1934): 19: 556. Palache, C., Berman, H., & Frondel, C. (1951), The System of Mineralogy of James Dwight Dana and Edward Salisbury Dana, Yale University 1837-1892, Volume II. John Wiley and Sons, Inc., New York, 7th edition, revised and enlarged, 1124 pp. : 574. 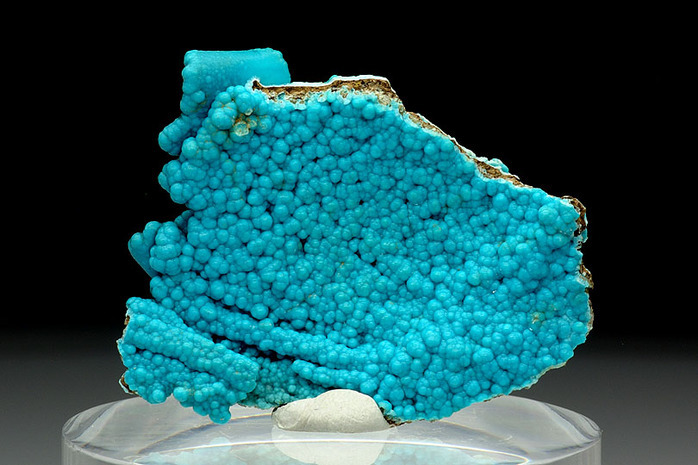 The following Glaucocerinite specimens are currently listed for sale on minfind.com. W. Krause, H.-J. Bernhardt, R. S. W. Braithwaite, U. Kolitsch and R. Pritchard (2006): Kapellasite, Cu3Zn(OH)6Cl2, a new mineral from Lavrion, Greece. Mineralogical Magazine 70, 331-342. Grant, Raymond W., Bideaux, R.A., and Williams, S.A. (2006) Minerals Added to the Arizona List 1995-2005: 4. Frost, et al (2004).